The Importance of Storyboarding (with an Example) | Not Another Brittany! Having worked on projects in the past both with and without storyboards, I must stress what a valuable part of the Instructional Design process it is. Effective storyboards help ensure all stakeholders, designers, and curriculum developers are on the same page. This saves valuable time and energy, helps ensure a happy client (if you’re developing curriculum for someone else), while also avoiding project scope creep. To help you understand what goes into a great storyboard, I wanted to share an example that I have created. One of my passion projects is teaching STEAM (Science, Technology, Engineering, Art & Mathematics) skills to children, such as writing computer code or developing their own video games. I decided to create a storyboard for a class that I have taught in the past, which had existing lesson plans but never received an official storyboard. 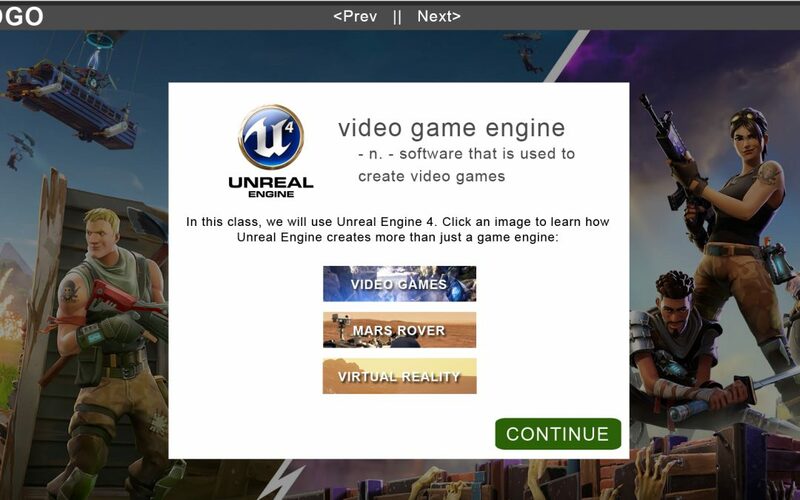 For this storyboard, I am introducing a group of students (aged 12-14yrs or approximately middle school aged) to Unreal Engine 4, a piece of professional video game creation software that they will be using to create their very own video games. This is the first lesson in the module, and they will build upon this knowledge for future lessons, which will cover the details for how to use the software, how to create a video game adventure map, how to plan their project and their own storyboard (yes, we have the children create storyboards of their own), and how to develop their own playable video games. Obviously, this is a long process and so there should be way more than 10 slides (and way more than 1 lesson or 1 module). Typically, we break this project up into several hours per day over the course of at least 3-5 days, depending on student skill levels. You can view my storyboard here.